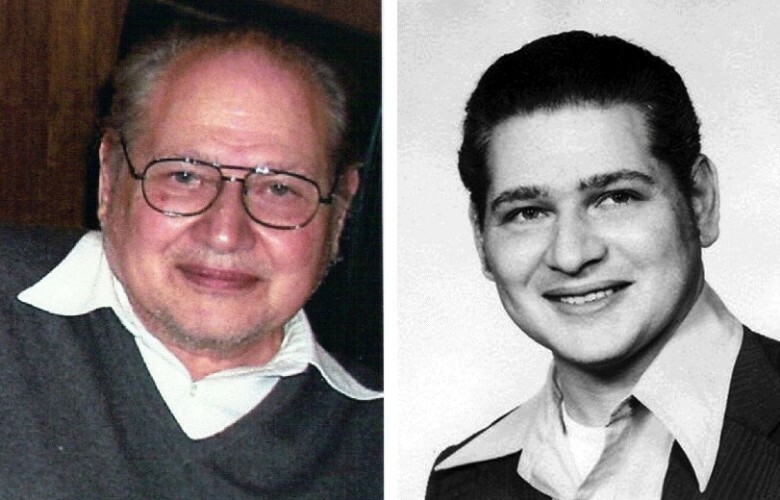 Ron Wayne today and when he co-founded Apple in 1976. April 12, 1976: Apple’s third co-founder, a former Atari colleague of Steve Wozniak’s named Ron Wayne, cashes in his Apple shares for just $800. Wayne, who owns a 10 percent stake in the company, throws in the towel after worrying that he doesn’t have the time or energy to properly invest in Apple. He later receives an extra $1,500 check to seal the deal. When he cashes it, he loses out on an investment worth billions. Ron Wayne drew Apple’s first corporate logo. He tried to include his signature as part of the design, but Steve Jobs made him remove it. Wayne made several contributions to Apple. He drew the company’s first logo, a woodcut-style depiction of Sir Isaac Newton sitting beneath a tree with a solitary apple dangling over his head. 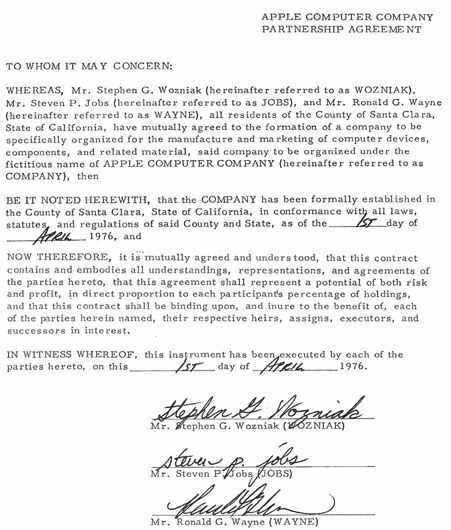 Wayne also wrote up the first contract in Apple’s history, codifying what all three co-founders would do. Wozniak would manage electrical engineering. Jobs tackled marketing, and Wayne would oversee mechanical engineering and documentation. Wayne found Jobs tougher to deal with. Apple’s founding contract, with the signatures of Steve Jobs, Steve Wozniak and Ron Wayne. To Wayne’s absolute credit, he never showed any sign of regretting his decision. When Apple went public in December 1980, both Jobs and Woz became instant millionaires. Wayne fared less well financially, but got on with his life without complaining. Years later, after Jobs returned to Apple and started to turn it around, he invited Wayne to attend a presentation in San Francisco showing off some new Macs. Wayne received first-class plane tickets, and Jobs’ chauffeur met him at the airport. Apple put Wayne up in a luxury room at the Mark Hopkins Hotel. After the conference, Jobs, Wozniak and Wayne ate a long lunch at Apple’s cafeteria and reminisced about old times.